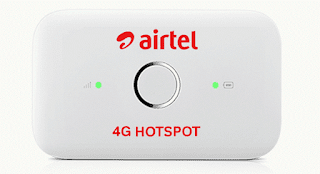 Airtel India has recently launched a new Huawei‘s Mobile WiFi router, the E5573s-606 (Huawei E5573). It comes with customized firmware and there is no option to enter the unlock code. 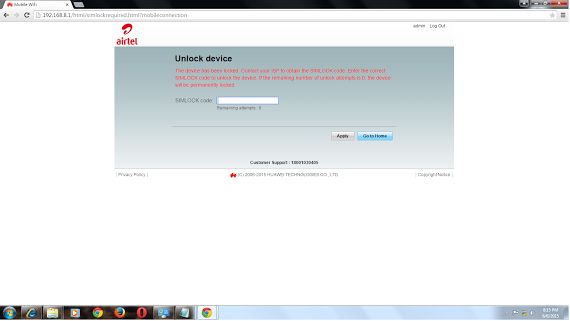 When you will change the default SIM card of Airtel with any other network, then it will show already used 10 codes and attempts to try is 0.Airtel’s Huawei E5573s-606 mobile WiFi router can be unlocked after the firmware upgrade. Note:- Make sure that your router is charged at-least 50%. Connect your Huawei E5573s-606 router to pc or laptop via USB cable. Make sure that your router is charged at-least 50%. It will ask a password. Use firmware code as password. Then Open Universal Master Code Calculator. Enter the IMEI no. in Universal Master Code Calculator. Click on Calculate and Copy the Flash code from there and paste where the firmware is asking password. After successful installing the firmware switch off the router or remove the battery and re-insert battery in device and turn it ON. If it is not detected by PC due for drivers problem then update the drivers (You have already downloaded Huawei Hi-link drivers from above). Enter a Code AT^NVRDEX=50503,0,128 and Press Enter from your Keyboard. Now it will show some nv codes. Now Extract Hauwei Calculator New V4 and Open it. After Finishing it will the nck/oem unlock code. Now extract Huawei_E5573s-320_Firmware_21.180.17.00.00_general.7z and install the firmware. Now you will be enter unlock code. Enter the NCK/OEM Unlock Code in that and Unlock it. 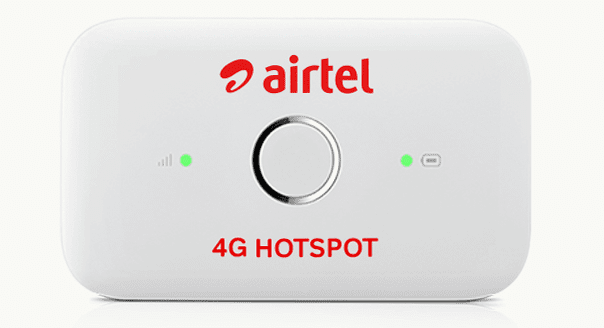 That's it now you can use any sim card in your airtel e5573s-606 hotspot.